Kalikrishna Bose (10 June 1873 – 30 May 1951), known as Virajananda, was an initiated disciple of Sarada Devi and a former president of the Ramakrishna Order. Born as the son of Trailokyanath Bose and Nishadkalidevi, Virajananda was the first person to join the Ramakrishna Order after the direct disciples of Ramakrishna. 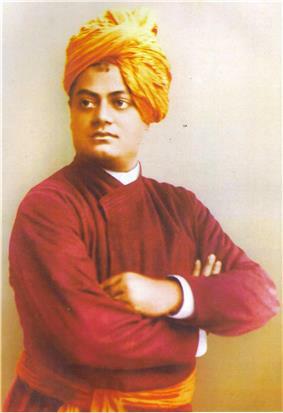 In 1897, he was initiated into sannyasa by Vivekananda. from 1899 onward he served in Advaita Ashrama, Mayavati and became its president in 1906. He is recognised as a monastic disciple of Vivekananda. Along with Swarupananda, Virajananda played a great role in popularising the monthly magazine of the order, Prabuddha Bharata. He was also responsible for successful completion of compilation and publishing of The Complete Works of Swami Vivekananda. He then edited and published a biography of Vivekananda in 1906 under the title The Life of Swami Vivekananda by his Eastern and Western Disciples. 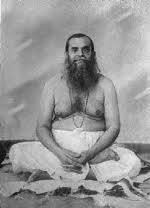 He was appointed the president of the Advaita Ashrama at Mayavati in 1913. In 1924 he became the General Secretary of the Ramakrishna Order. In 1938, he became the 6th President of the Ramakrishna Mission. He was the main source of inspiration behind the founding of two educational institutes of that mission known as Vidyamandir and Sarada Pith. Virajananda went to Deoghar for famine relief activities but he was largely involved in serving Vivekananda. He went to dhaka together with Prakashananda. In Barisal he met Sri Ramakrishna Birth Centenary Celebration and the Parliament of world Religions in Calcutta in 1937.:95 He was elected as the Vice-President of the Ramakrishna order in 1938 and was also elected as the President in December 1938 when his brother disciple Shuddhananda died in October 1938. He used to call himself the Chief Monastic Servant of the order. He dreamt of a Vivekananda University and was the inspiration behind the founding of the two educational institutions in Belur Math, Belur Vidyamandir and Sarada Pitha. :99 The foundation for the first college of Ramakrishna Mission was laid on 31 January 1940 under his guidance. Even after becoming president of the order he would spend a few months every year in Shyamal Tal in the Himalayas. Last year of his life was spent at Belur Math. After assuming the responsibility of Presidency, he suffered from heart and liver problems, and various ailments of old age. :105 He died on 30 May 1951. ^ Ashrama, Shyamla Tal. "Swami Virajananda". Retrieved 1 May 2014. ^ a b c d e f g h i j k l m n o p q r s t u v w Abjajananda, Swami (2003). Monastic Disciples of Swami Vivekananda. Mayavati: Advaita Ashrama. ^ a b Gambhirananda (1957). History of Ramakrishna Math and Mission. Mayavati: Advaita Ashrama. Abjajananda (1964). Svāmījira padaprānte, Svāmī Bibekānandera sannāsi-śishyagaṇera jībanacarita (in Bengali). Beluṛa Maṭha: Ramakrishña Miśana Saradāpīṭha. Abjajananda; Chhaya Ghosh (tr.) (2003) . Monastic Disciples of Swami Vivekananda : Inspiring life stories of some principal disciples of Swami Vivekananda (in Bengali). Kolkata: Advaita Ashrama.